I can’t get enough of Autumn in all her glory… Making the most of it before November blows it all out. I had a “few days off” this past week as life took over. Back in the next couple of days with a look at Blackpool and a huge Day trips from Munich post… Happy Sunday! That looks just like my weekend, sunshine and showers, great if you miss the showers and wow it makes a wonderful photo. That looks a lovely place to walk, the weather here has turned to rain this weekend. Here too sadly! Thanks Darren. The light in this photo is beautiful. It’s incredible how many leaves have fallen in the last few days. Gorgeous picture. 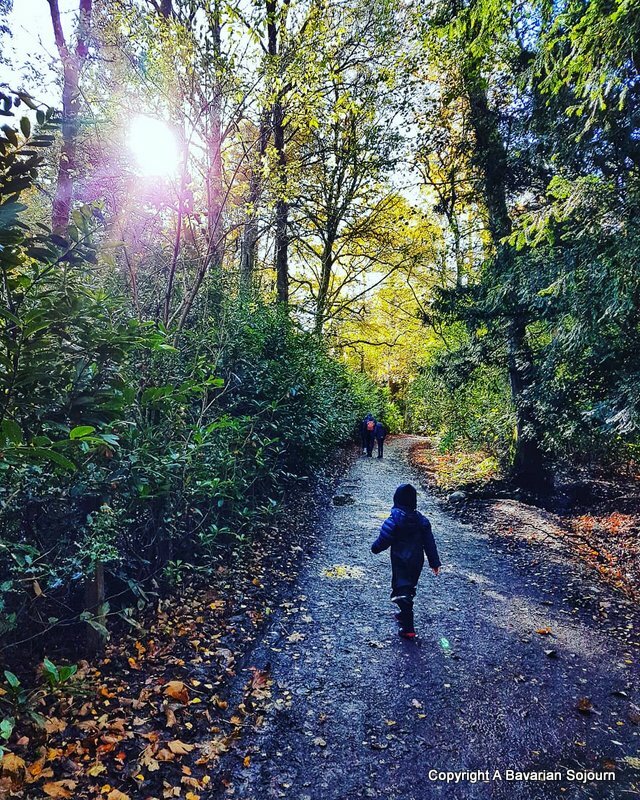 Walks like this make lasting memories for children.